With over 25 years of financial services and investment experience, I provide personalized investment solutions, incorporating a life planning approach for families, businesses, estates & trusts, and charitable organizations that will help them achieve their goals over their entire lifetime. 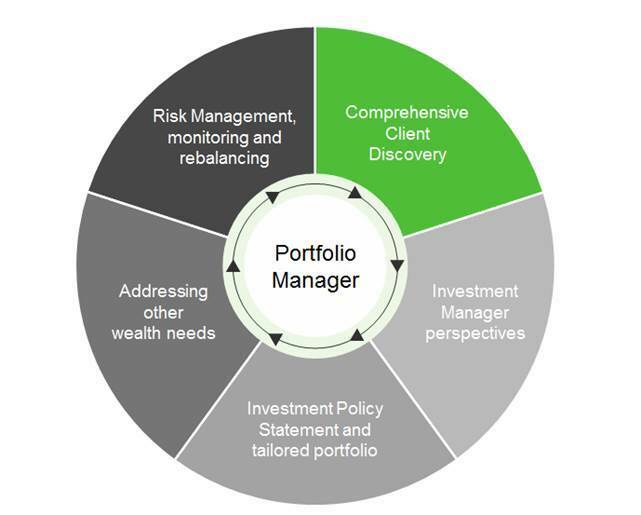 As a Portfolio Manager with TD Wealth Private Investment Counsel, I provide a high level of personalized service for my clients. 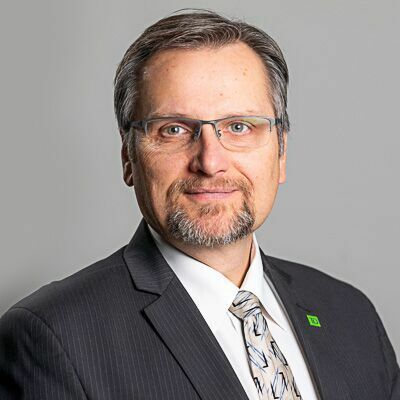 I work with a talented group of specialists and have complete access to their expertise and the resources of our TD Wealth and TD Bank Group teams. My role is to create a fully integrated and comprehensive plan for my clients, by having the appropriate specialists brought in when required, to apply their knowledge to a particular situation. This can range from tax, financial and estate planning including credit and insurance needs, philanthropy, and business succession. I believe that this relationship is crucial to my client's evolving needs from the accumulation of wealth to the preservation and transitioning of their wealth through every stage of their life. Together, our team can address virtually any trust, banking or investment matter that a client might bring before us. I am a graduate of the Royal Military College of Canada with a Bachelor of Arts degree in Economics and Commerce and hold the Certified Financial Planning and Chartered Financial Analyst designations. : I have completed the Canadian Securities, Canadian Options and Futures courses, along with Trust Course for Portfolio Managers, Certificate in Retirement Strategy and am a Life Insurance Advisor through TD Wealth Insurance Services. I am a member of the Winnipeg Society of Financial Analysts and The Estate Planning Counsel. I have recently retired from working with the Royal Winnipeg Rifles and the Queen's Own Cameron Highlanders of Canada, two Reserve Infantry units in Winnipeg. THE FIRM - TD Wealth Private Investment Counsel is a leading professional investment management firm managing over $28.4 Billion in assets (as of the end of March 2018). The offering is supported by the same high calibre investment methods and rigour used by TD Asset Management with its institutional clients such as pension funds and foundations.